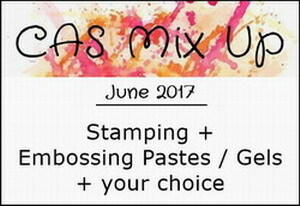 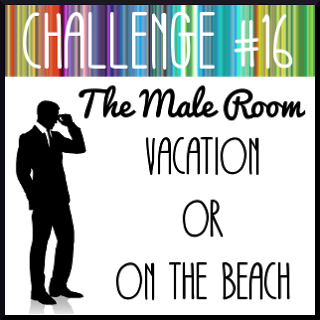 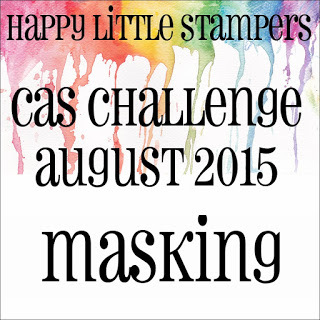 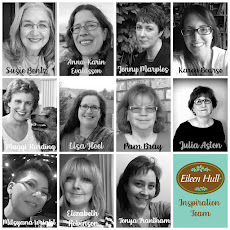 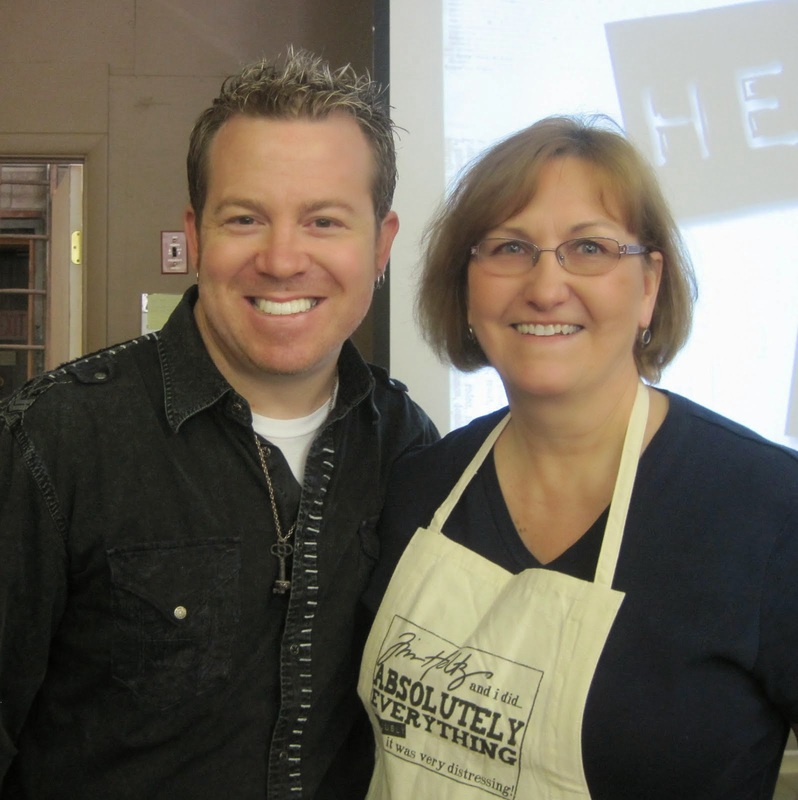 June CAS Mix Up Challenge - Mid month reminder! 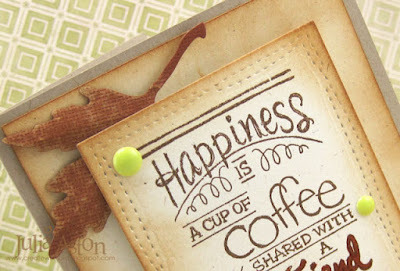 Can you believe June is half over already! 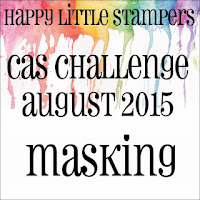 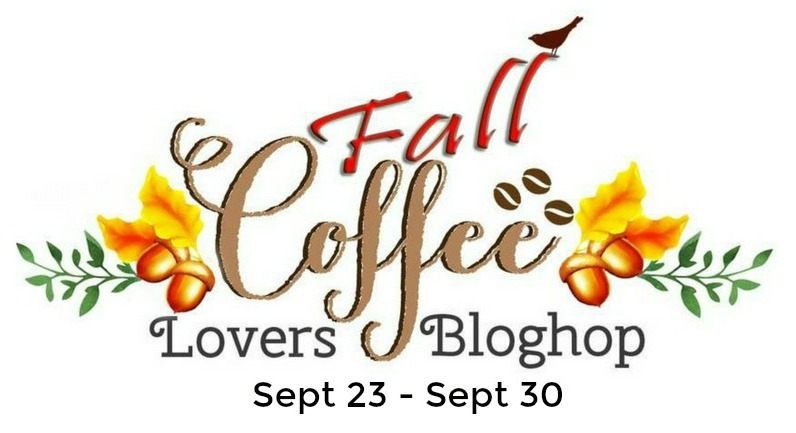 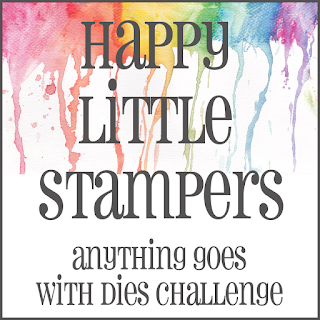 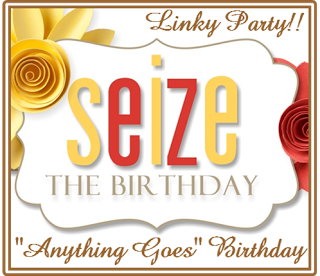 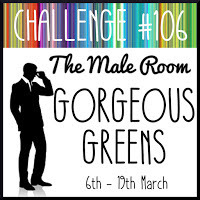 I'm here today to remind you about the June CAS Mix Up Challenge where Loll is our host - you still have time to link up your CAS creation! 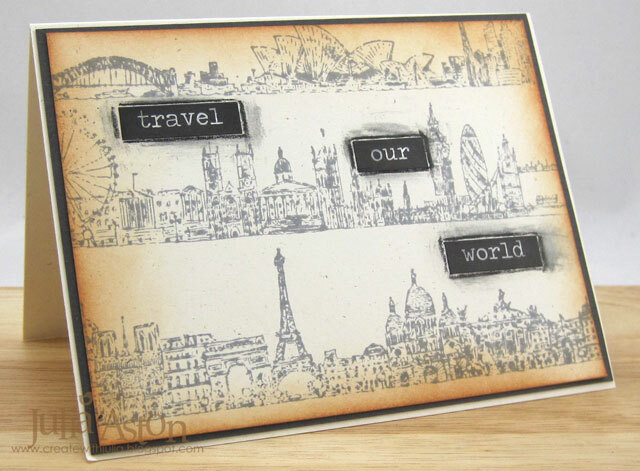 I used black embossing paste over stencils, stamped sentiments, rhinestones and punched butterflies. I actually made 3 cards for my reminder post as I decided to use Wendy Vecchi Black Embossing Paste over 3 of Tim Holtz mini stencils (leafy, feather and splash) so they all fit on an 11" x 4 1/4" panel. 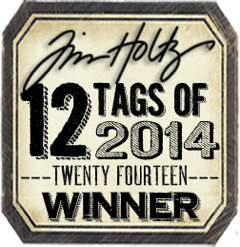 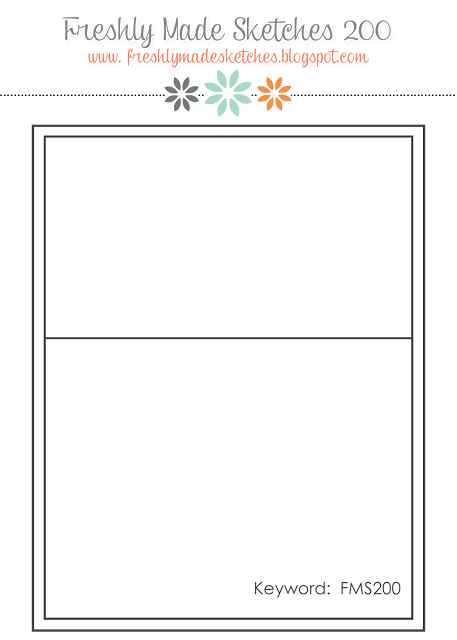 (a regular card size before folding it in half!). 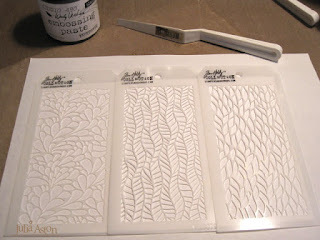 Here are the stencils laid out over the white card panel. 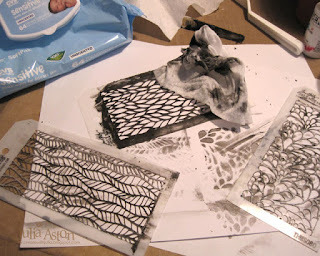 Here they are with the black embossing paste spread over them. I used blue painters tape to hold the stencils over the paper so they wouldn't move as I spread the paste over them. 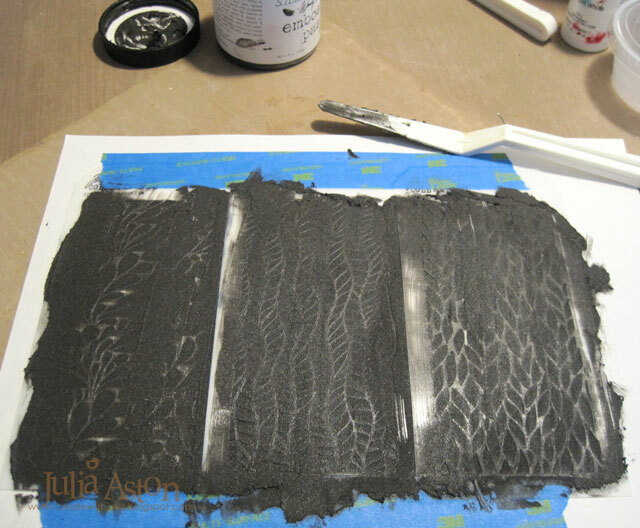 Here are the results after carefully removing the stencils. I let the panel dry overnight. 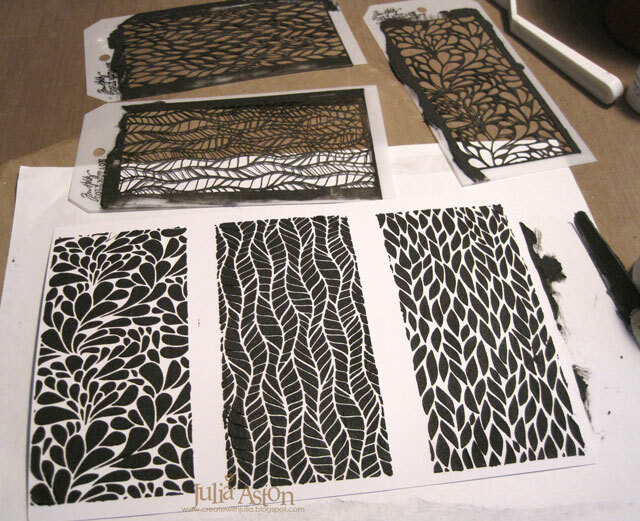 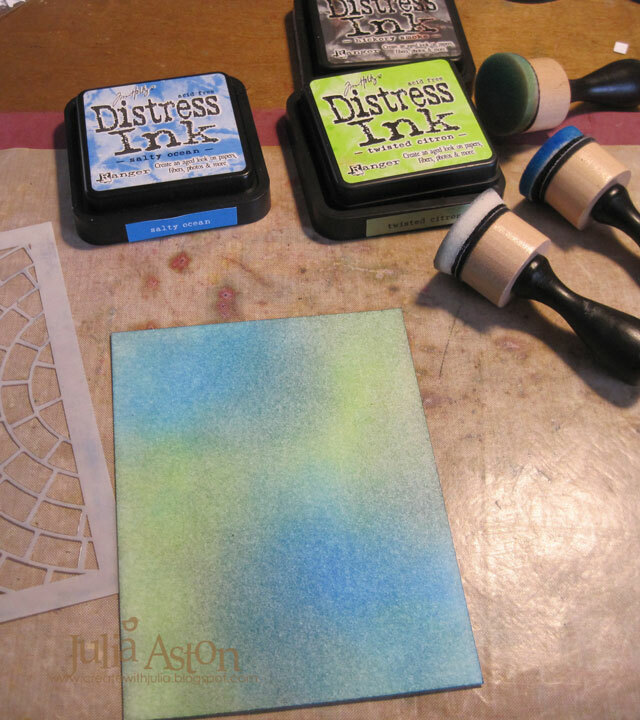 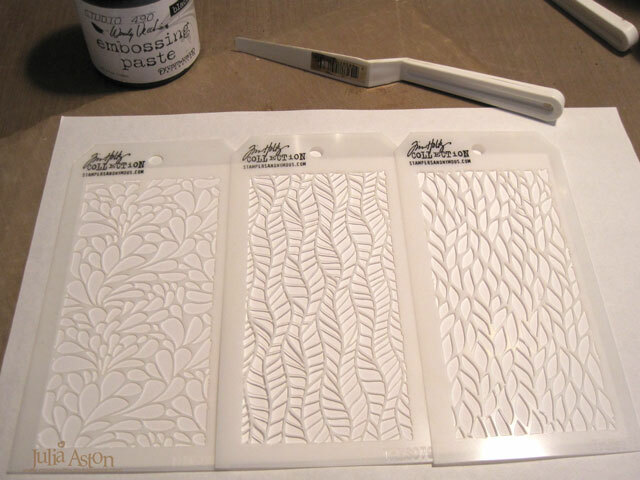 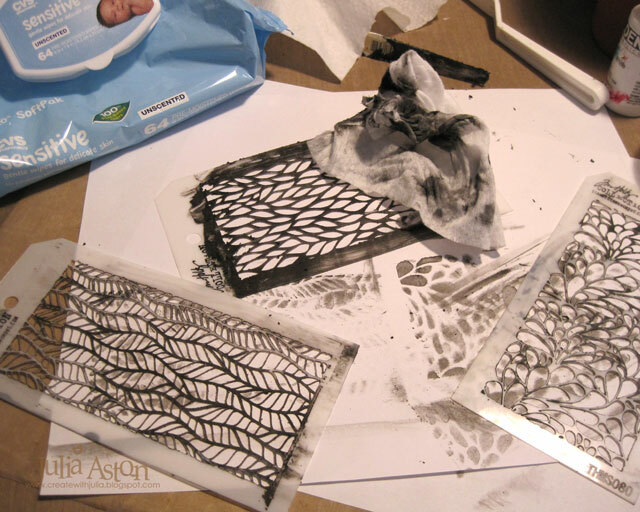 Remember to wipe off your stencils immediately then wash them thoroughly before the paste dries on them. 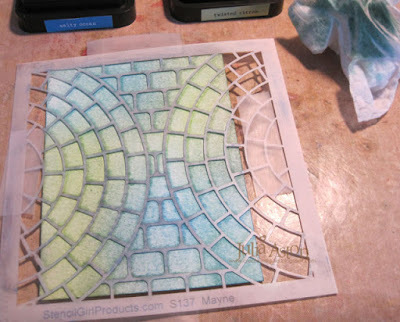 I trimmed each stenciled piece close to the edge leaving a small white border on all 4 sides. 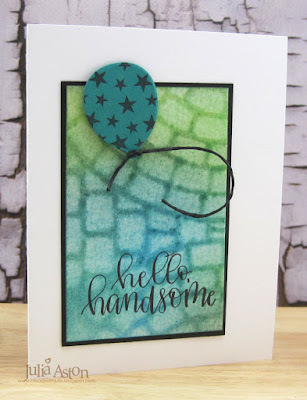 For my first card, I added a sentiment stamped strip and die cut butterfly both up on foam - the butterfly has foam just on the center body part so the wings can be folded up to add dimension. 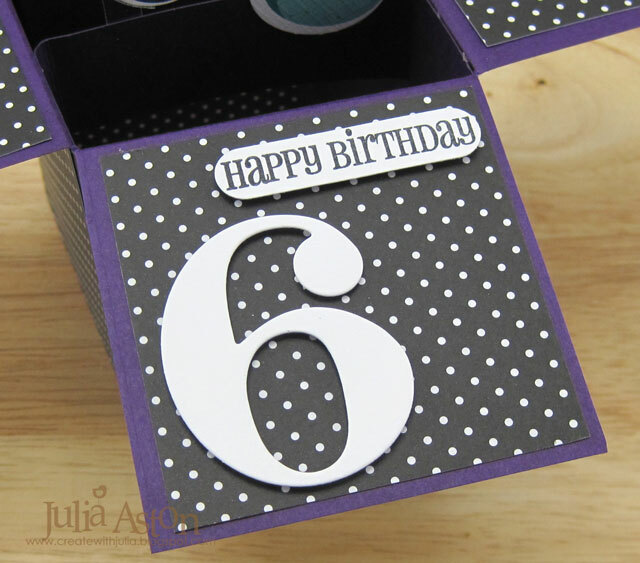 I also added purple rhinestones. 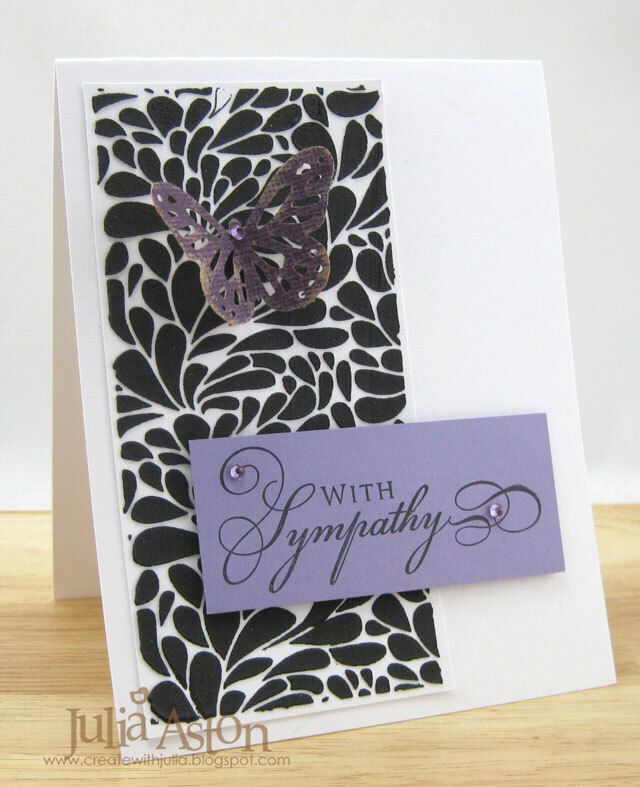 I don't particularly like black for sympathy cards - but I think adding the color softens the harshness. 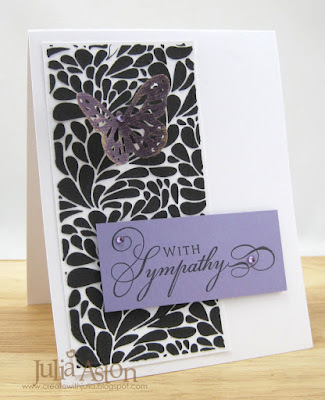 I made a 2nd Sympathy card, rotating the card to its side and using green instead of purple for the accent color. 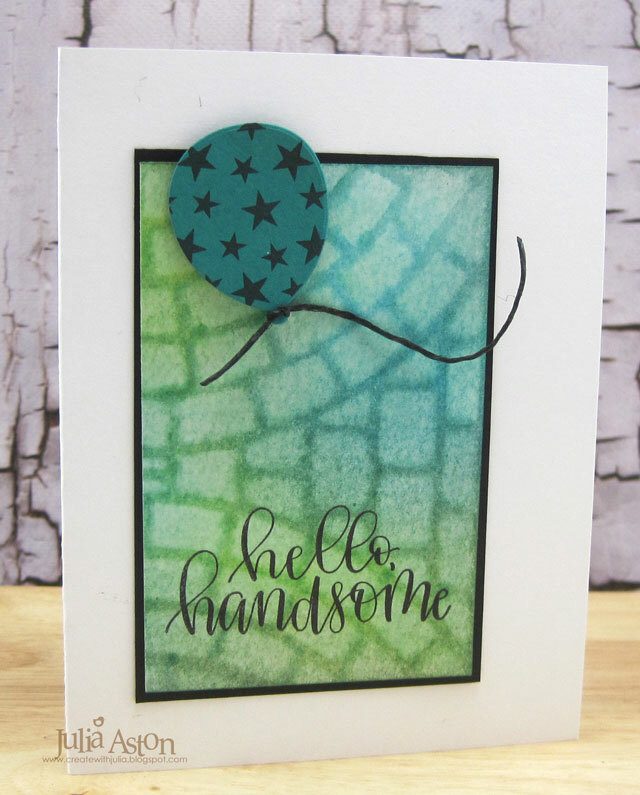 And for my third card I made a masculine birthday card (always like to have these on hand - and for some reason I think guys need funny sentiments on their cards ???!!! 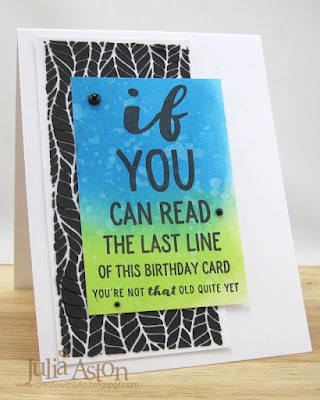 ), stamping the sentiment from Off Beat Birthdays by PTI on a sponged panel left over from when I made this card for last month's splatter challenge. 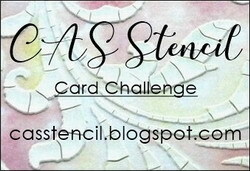 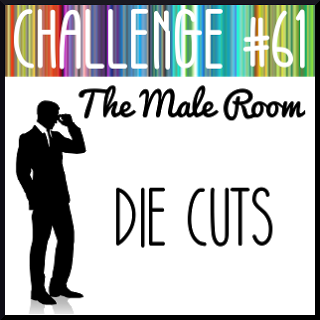 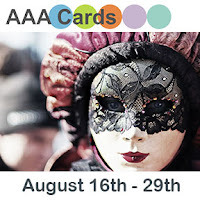 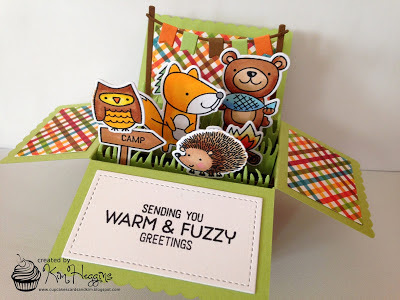 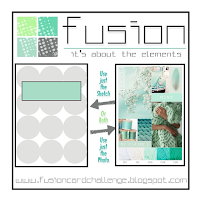 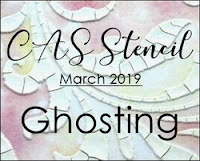 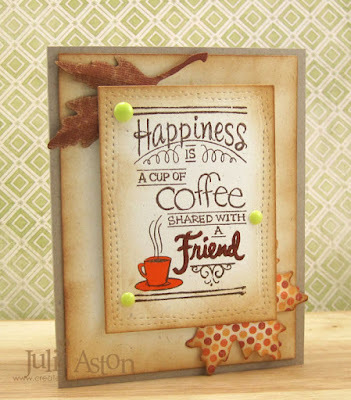 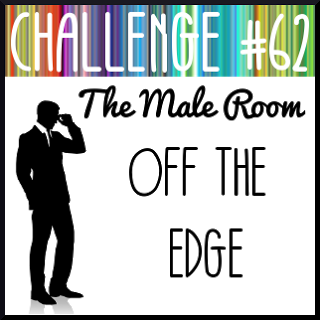 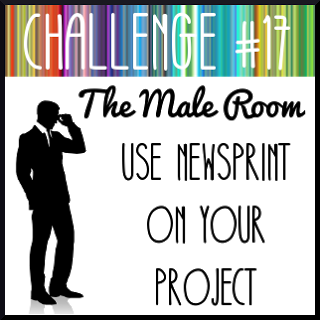 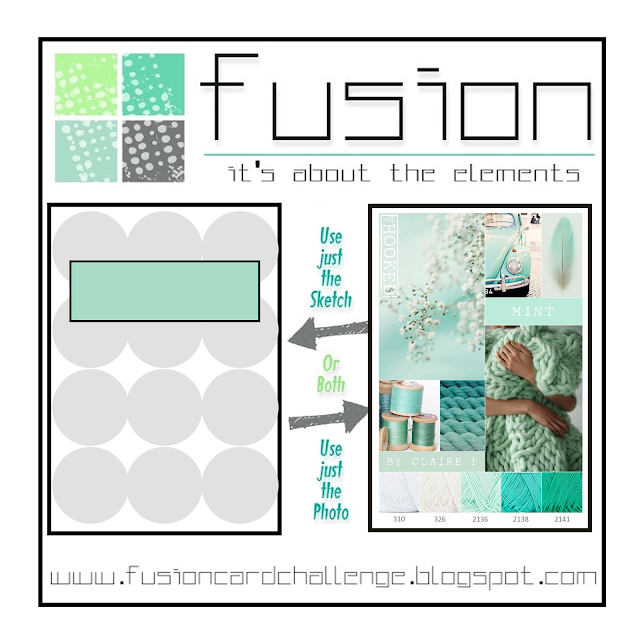 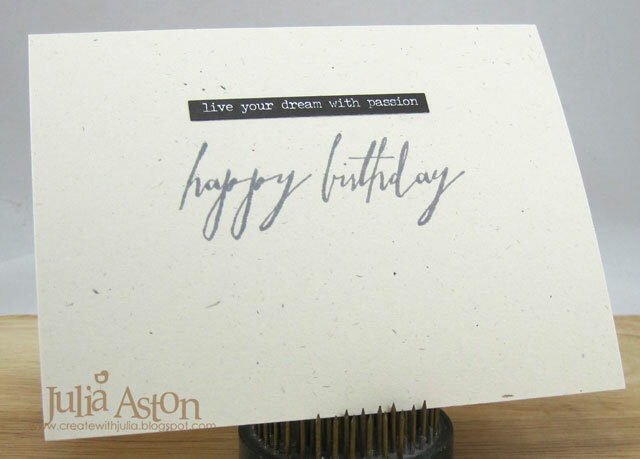 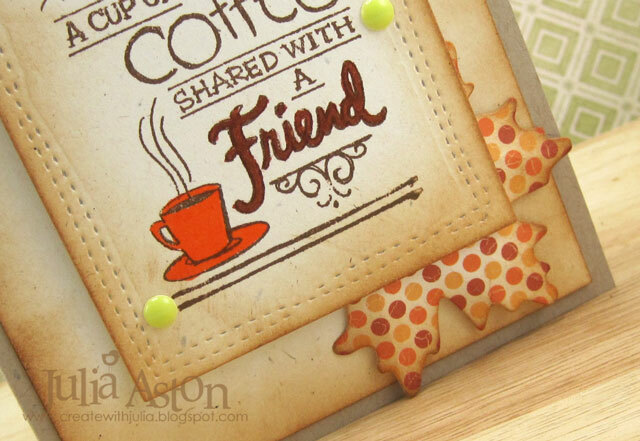 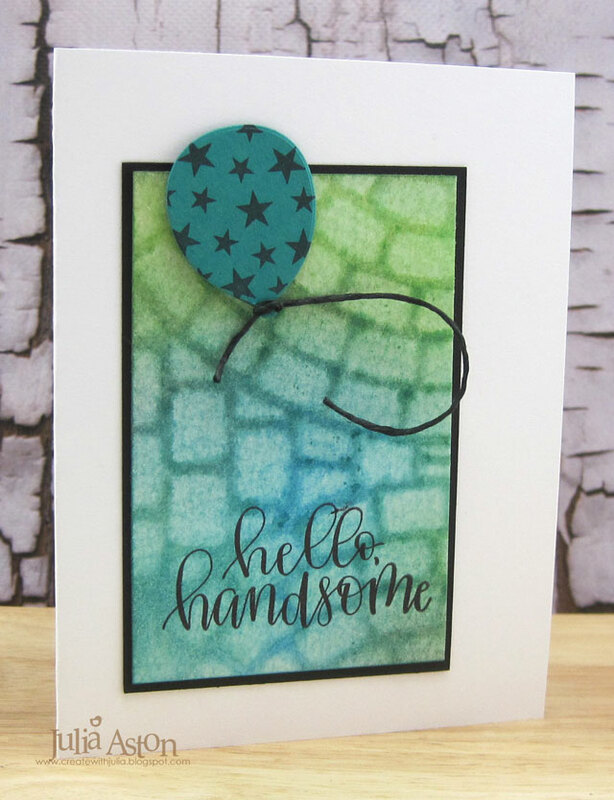 You have until June 24th to link up your CAS cards using Embossing Pastes/Gels - check out the challenge here - where you will also find lots of inspiration from the other talented Design Team members! 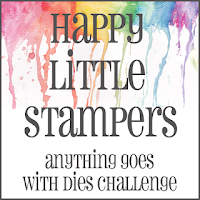 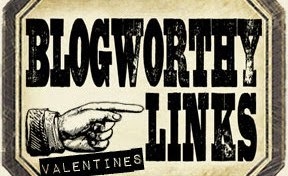 Stamps: Sympathy - Big Day Today - Waltzingmouse (retired), Thoughts and Prayers - PSX wooden stamp. 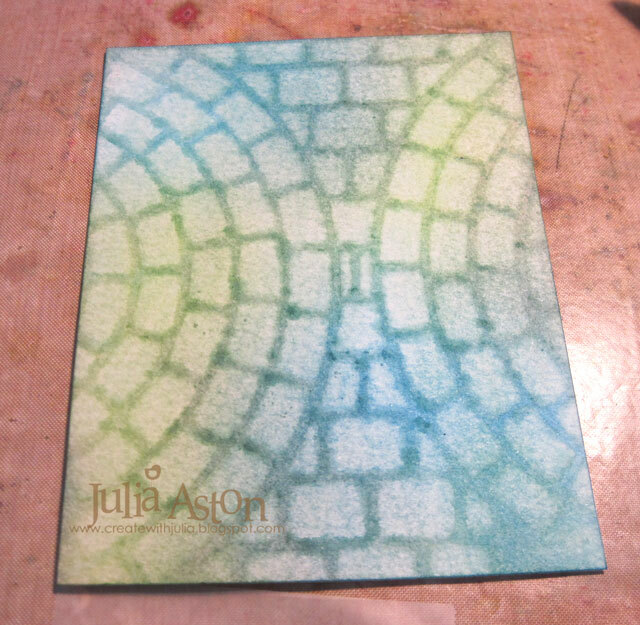 Paper: White, Winter Wisteria, Simply Chartreuse - PTI, Kraft Core Core-dinations purple and green. Accessories: Wendy Vecchi Black Embossing Paste, foam dots, rhinestones - Kaiser Craft, Mini Stencils - Tim Holtz, butterfly punch - Martha Stewart, Tombow Adhesive. 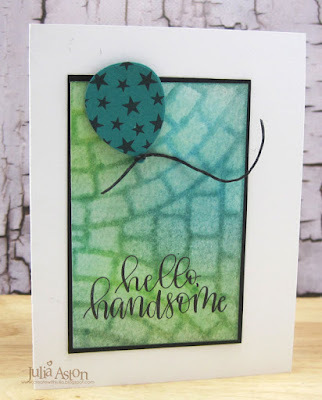 Accessories: Wendy Vecchi Black Embossing Paste, foam dots, gem stickers - DCWV, Mini Stencils (leafy, feather and splash - Tim Holtz, water. 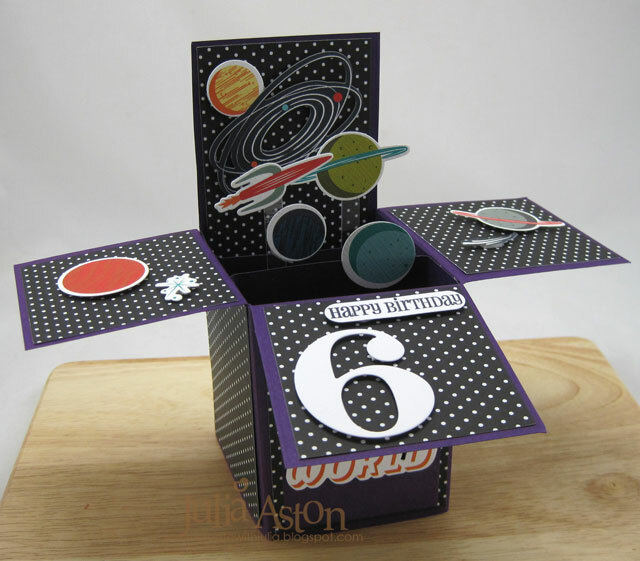 My grandnephew James is turning 6 this weekend - and I always make special cards for the grands - so the pressure was on to create something fun. I've been wanting to make a pop up box card for quite a while - there is a great tutorial over at Splitcoaststampers that I printed out a year or so ago - and I finally got it out to try it for James' special card. 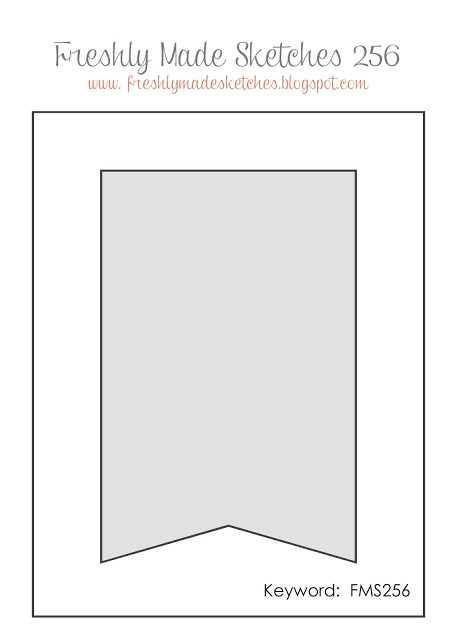 This is how it looks when you fold it flat for delivery. 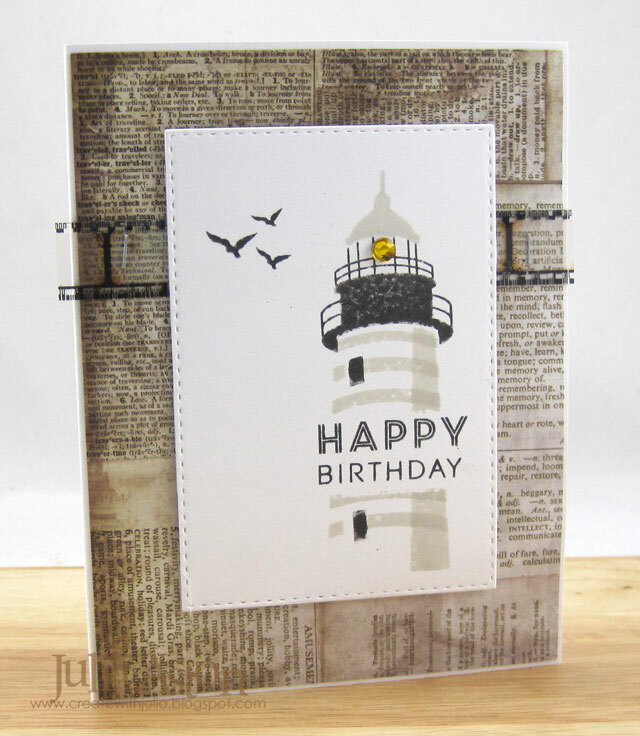 Very unassuming and you'd never guess the surprise it holds inside! 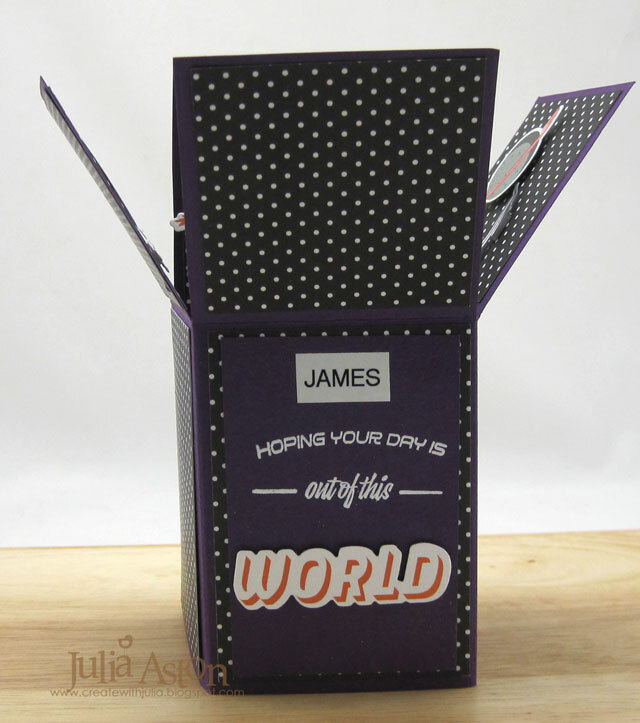 and when you fold down the front and side panels you get your surprise! I used my brandy new Make it Market Mini kit - Out of this World for all of the space decorations. 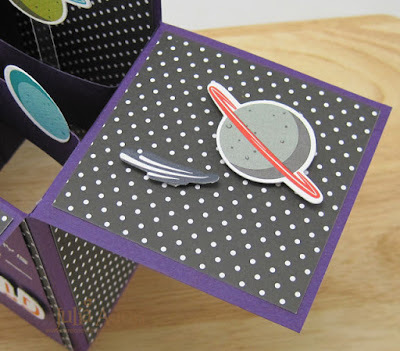 I used one of the patterned papers and the dies in the kit to cut out all the outer space pieces. 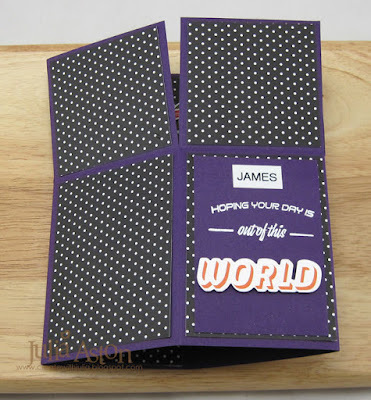 You start out with a 12"x12" piece of card stock, cut it and score it according to the tutorial, cut patterned papers to fit the sides inside and out and add tabbed pieces inside to adhere the pop ups to. 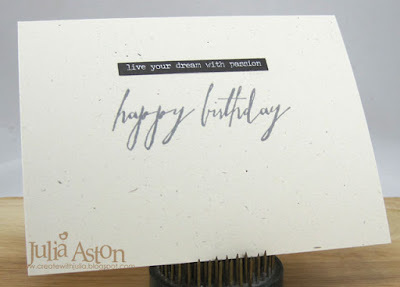 They also include instructions for a smaller card that will fit an A2 envelope. Here's a close up showing the dividing pieces inside the box where you attach your pop ups. 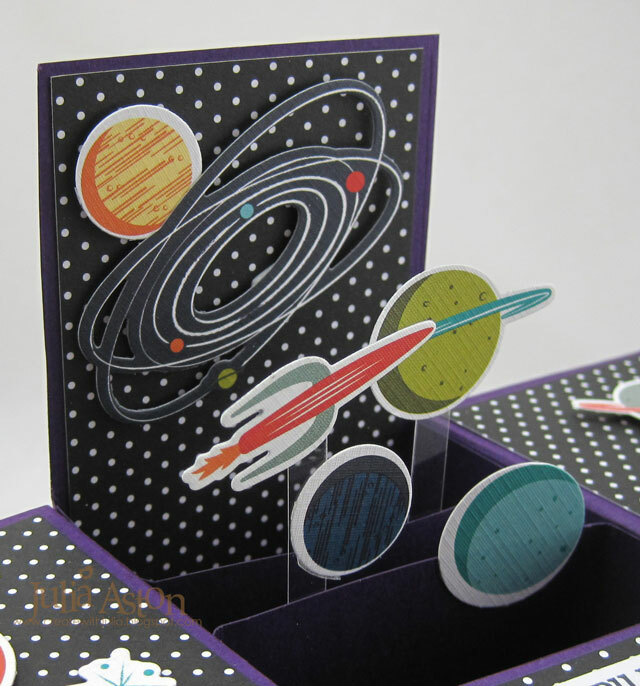 I put the planet and space ship on strips of acetate so they stand up and shake a bit when you move the box. 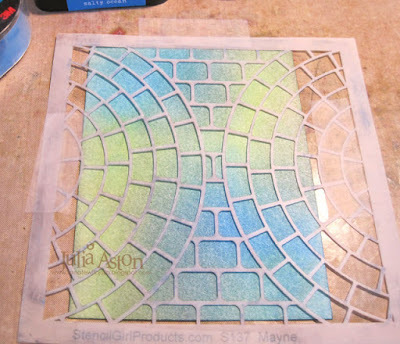 I adhered the lighter blue planet in the front directly to the dividing piece. 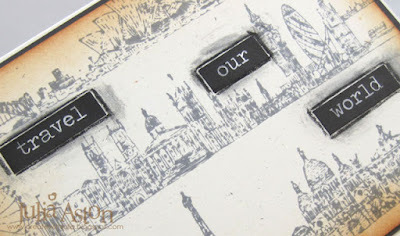 here are close ups of the side panels. 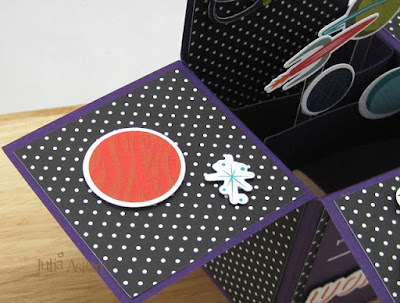 All the pieces on the panels are up on foam dots. I used a PTI By the Numbers die for the 6. 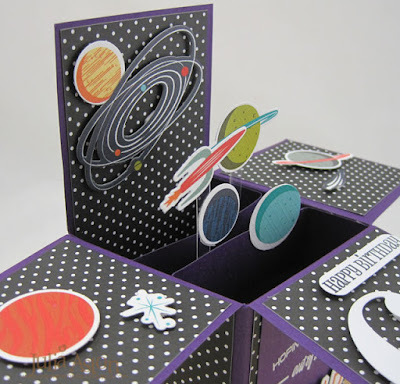 So, I'm glad I finally tried a Pop Up Box Card - it takes a little longer to cut, score and decorate, but isn't difficult at all to put together - and I think James will love his little outer space birthday card! Stamps: Make it Market Mini Kit - Out of this World - Papertrey Ink, Happy Birthday from A Beary Good Year - The Cat's Pajamas. Accessories: dies from Make it Market Mini Kit - Out of this world and By the Numbers Die - Papertrey Ink, Word Window Punch - SU, Scortape, foam dots, white embossing powder, heat tool, Pop Up Box Card Tutorial - Splitcoaststampers.